Save 5% Off the Coniston Wall Mounted Canopy | Canopies | Able Canopies Ltd.
Order now and book your canopy installation to be completed by 31st March 2017 to receive this fabulous offer! 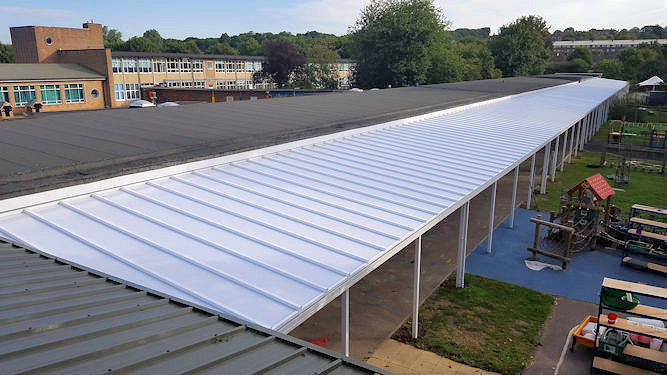 The Coniston Wall Mounted Canopy is our most popular product, it is a strong, long lasting canopy that is ideal for many uses, click here to find out more about the Coniston or scroll down a selection of benefits below. 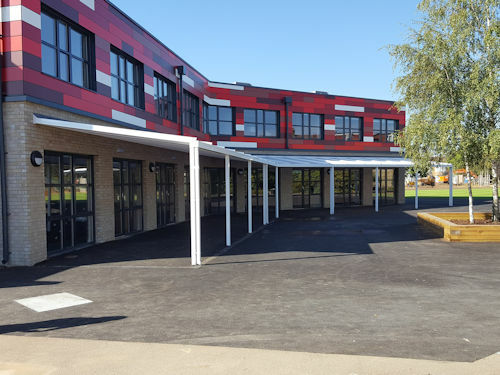 "We are absolutely delighted with our canopy. The product is of the highest quality. 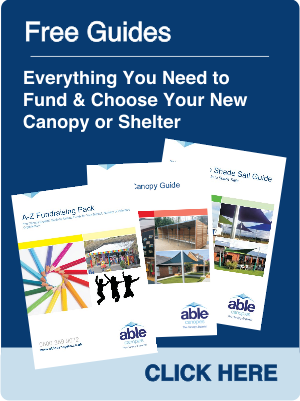 Able Canopies is a company I would choose again & again. May I thank Robin Bayman (Area Sales Manager) for his professional manner and understanding of our needs." If you are an existing customer, you can take advantage of our 'Double Your Rewards Referral Scheme'. As an existing customer, you are issued with a voucher for £250 off your next canopy, shelter or shade sail order over the value of £5,000. However, if you recommend us to another school or company and they request a site survey, we will double your voucher to £500 and also issue a £250 voucher for your friend. As an added extra, we will also send you both a box of goodies each to say thank you. 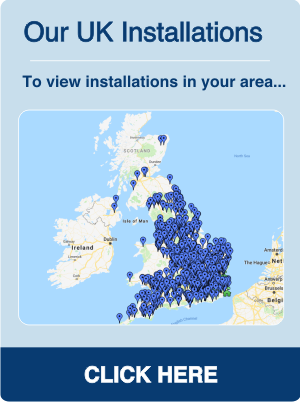 You can both use your vouchers towards the above Coniston offer, giving you a large saving if your canopy is installed by the end of 31st March and is over the value of £5,000. We have survey slots available if you require a new quotation, this offer also applies to existing valid quotations you may have received from us! Please note our quotations are valid for 90 days. To take advantage of this offer, you must have the canopy installed by 31st March 2017. To take advantage of this offer you must have your canopy/canopies installed by 31st March 2017. Whilst this offer can be applied to existing quotations, please be aware that previous quotations you may have received from us are only valid for 90 days, if your quotation has expired please request a re-price. This offer cannot be redeemed on orders already placed or verbally confirmed with Able Canopies. 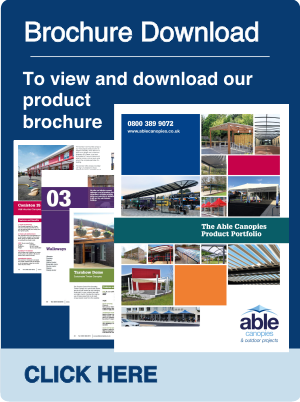 If your order form has already been issued and sent out to you/your organisation by Able Canopies before 23/01/2017 then your order cannot be included in this offer. This offer can not be used in conjunction with any offer offer, execpt for the existing customer Double Your Rewards Referral Scheme.